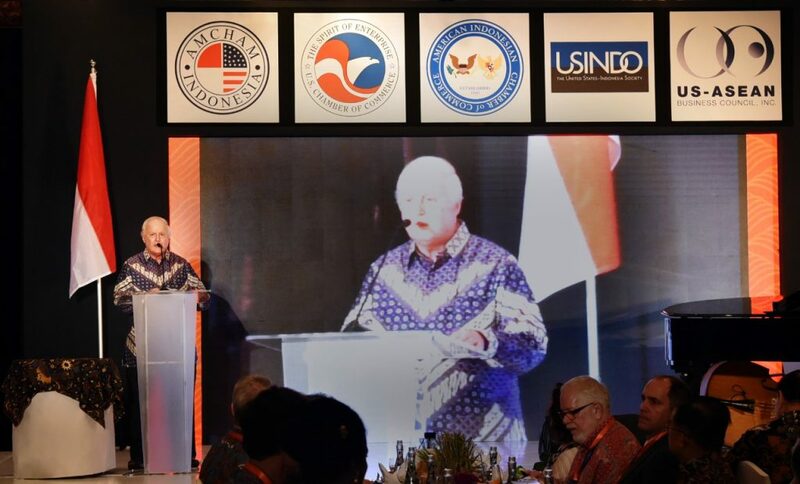 USINDO, in partnership with AmCham Indonesia, the U.S. Chamber of Commerce, the American- Indonesian Chamber of Commerce, and the US-ASEAN Business Council, held a Gala Business Dinner in conjunction with the IMF-World Bank Annual Meetings on October 10 in Nusa Dua, Bali. 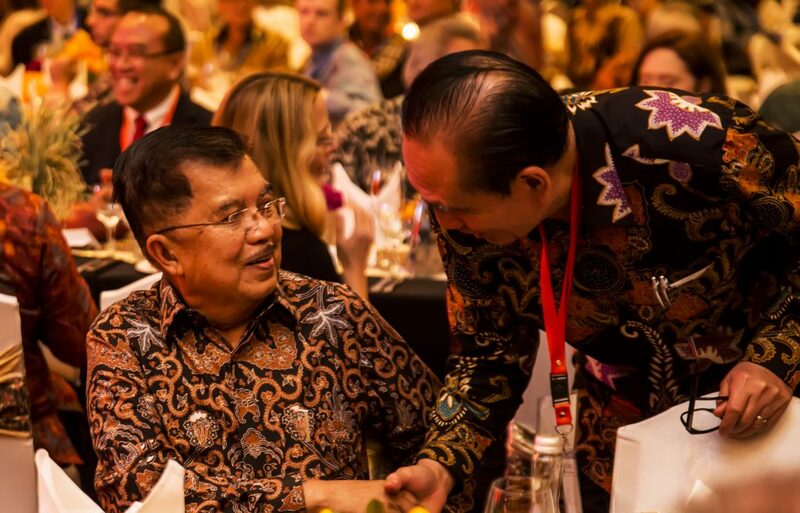 With Indonesia: the Journey Moving Forward as the key theme, the Gala Dinner had a full-house audience with keynote speaker Vice President Jusuf Kalla, Coordinating Minister for Maritime Affairs Luhut Pandjaitan, Finance Minister Sri Mulyani Indrawati, BKPM Chairman Tom Lembong, and others. 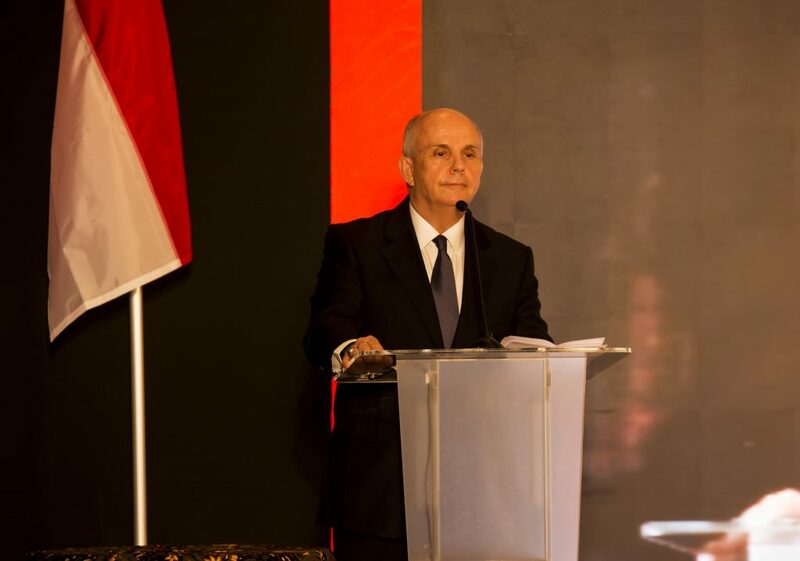 The US Chief Guest was the US Ambassador to Indonesia, Joseph Donovan Jr.
Top US and Indonesian business executives and senior government officials from finance, Bank Indonesia, Maritime Affairs, and several other ministries also attended including the US Ambassador to Indonesia, Joseph Donovan. 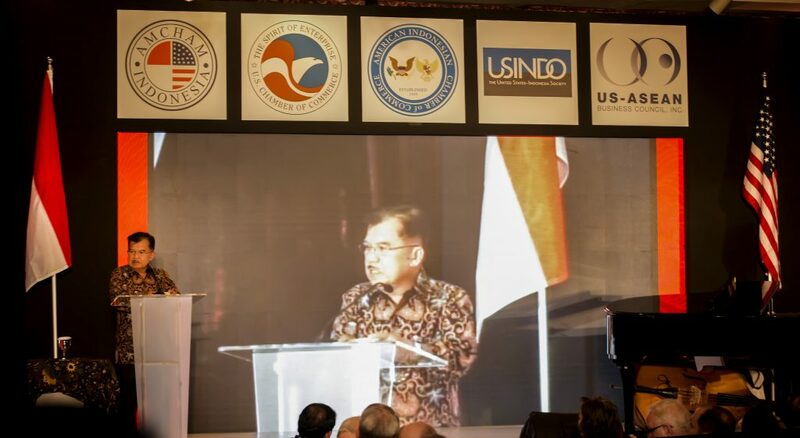 During the Gala, Vice President Kalla spoke of the government of Indonesia’s openness for investment and also thanked the many private corporations who have been responsive and giving generously to the survivors of Sulawesi earthquake and tsunami that happened on September 28. 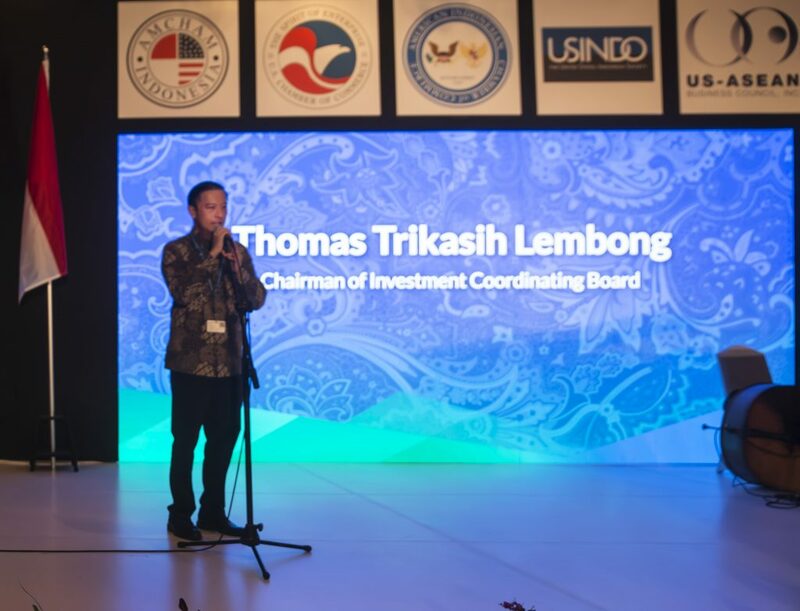 Chairman Lembong, similarly, discussed Indonesia’s partnership with US investors as well as speaking about ongoing disaster relief efforts. 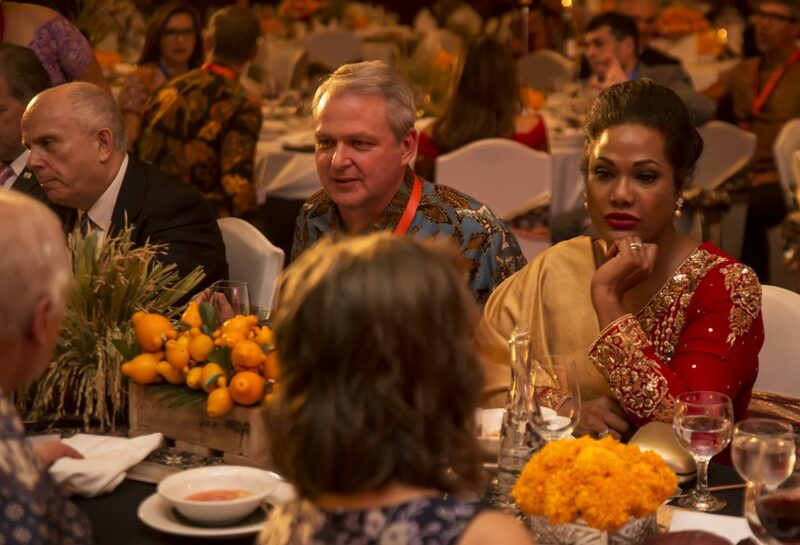 A private Business Round Table that preceded the Gala dinner featured Minister Luhut and Minister Sri Mulyani and their key advisors. 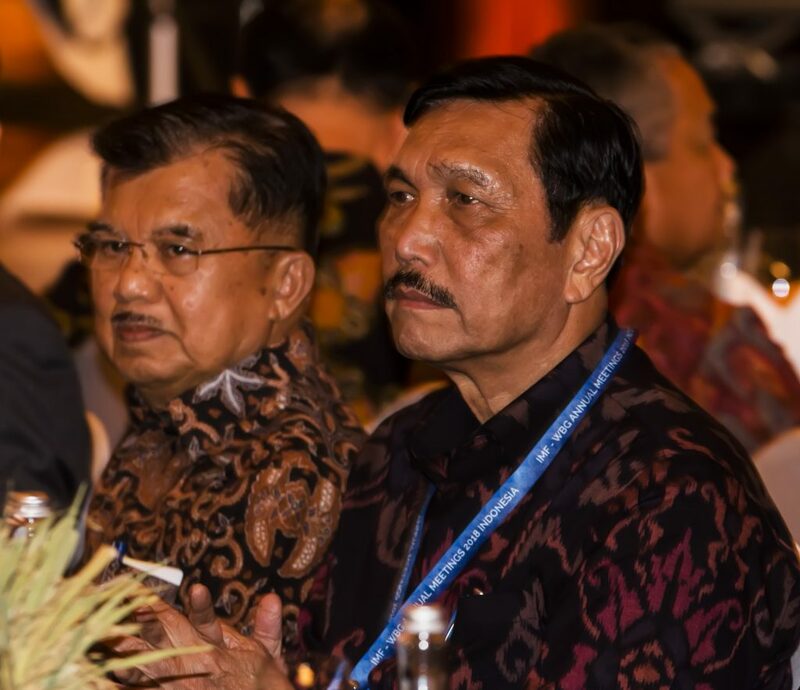 The ministers took questions from the floor and briefed companies on the Indonesian economy. To show their solidarity with the Indonesian people in their time of natural disaster. 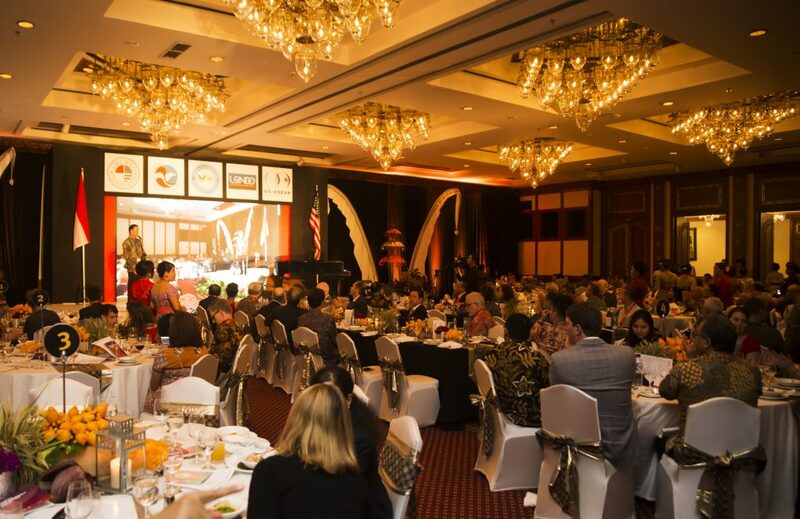 USINDO would like to thank the sponsors who contributed to the success of the event – Platinum sponsor, Freeport Indonesia; Gold sponsors, ExxonMobil Indonesia, Citi, Stanley Weiss, Mattel, CT Corporation, Mastercard, and Chevron; Silver sponsors, VISA and the Tanoto Foundation, and other individual corporate sponsors. 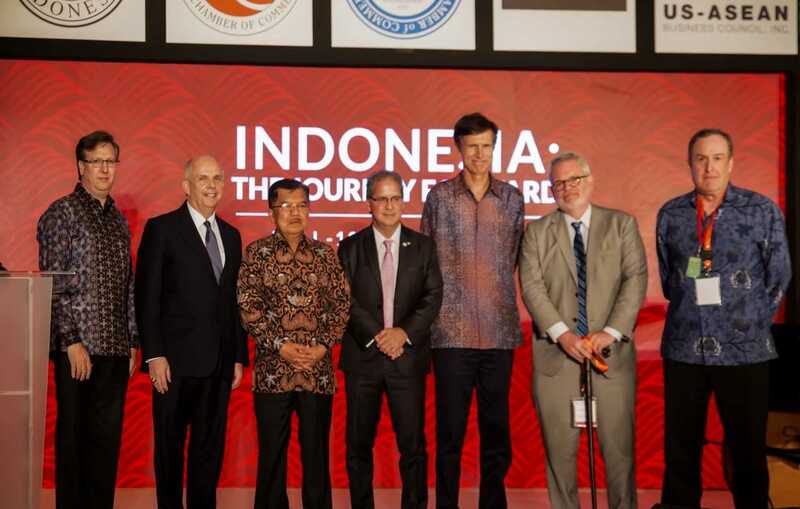 We are grateful for the support shown by the government of Indonesia and our corporate sponsors. This Gala Dinner would not have been possible without our collective effort. A photo gallery of pictures from the event is below.